High-quality paper offers a smooth writing surface. Sturdy, chipboard backing for easy notetaking. Glue-top style for easy sheet removal. 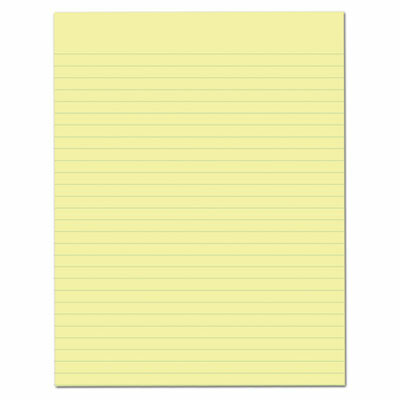 High-quality paper offers a smooth writing surface and a sturdy, chipboard backing for easy notetaking. Glue-top style for easy sheet removal. No margin ruling.